Plowman Craven is one of the largest measurement survey companies in the UK with a solid reputation within both the public and private sectors. Our innovation and dynamic approach sets us aside from our competitors and our commitment to deliver a flawless service is achieved by investing and empowering our employees to push boundaries and reach new heights. We specialise in providing laser scanning and measuring data services to business of varying sizes and regardless of the size of project or the challenge it presents, our clients can trust us to provide a service that will go beyond their expectations! We are looking for an experienced Utilities Surveyor to join our team in Harpenden. The right candidate will need to have 3-4 years + experience as a Utilities Surveyor and have experience in delivery to PAS128 Standard. In addition to the technical and commercial aspects of the role, we expect individuals to demonstrate our key characters; Innovation, Creative, Passionate, Bold, Ambitious, Relentless, and Trusted. Working in conjunction with the Project Manager, propose the most appropriate technology and the most efficient method to deliver projects to drive a predictable and agreed commercial outcome for PCL. To lead the data collection and data processing elements of all projects in the Utility teams’ portfolio and to meet the required Company standards including health and safety. Working with the Managing surveyor when appropriate, build a realistic approach to each new client opportunity to build program timings and resources required to successfully deliver each client program at a price and margin acceptable to PCL. In doing so, assist in building a client proposal with the project manager at the planning stage to maximise PCL opportunity to win the work. Conduct all surveying and technical aspects of a project once client instruction has been received meeting all required Company standards, such as quality and health and safety. Ensure that projects are delivered to the appropriate level of quality. Internal and external surveyor work should be delivered to the QA team in a ‘client ready’ format. To take responsibility for managing project data, from its collection to final delivery using the most appropriate technology and methodology to meet the project specification. In conjunction with the Partner Manager and Lead Project Surveyors, manage subcontractors and their work on a specific project, ensuring adherence to the technical specification, required Company standards and the agreed timescales of a project in order to ultimately meet PCL commercial expectations. In conjunction with the Project Manager to pro-actively report on project progress, and ensure that projects meet the required deadlines and project costs remain within budget. To liaise with Clients as required on site concerning project specifications and deliverables. To coach and instruct internal staff and subcontractors on all aspects of data collection and data processing, encouraging all aspects of “best practice”. 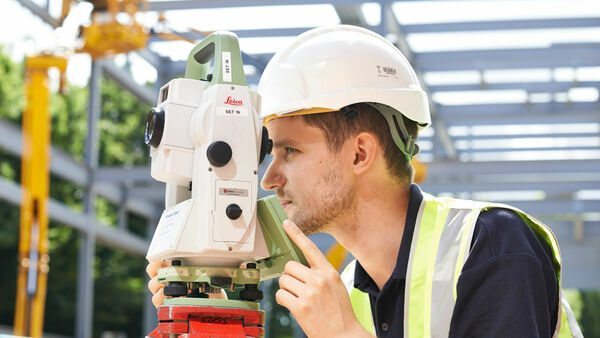 Act as mentor to the dedicated survey team by helping more junior surveyors gain the necessary experience and technical knowledge to further develop skills over time. Work with the senior PCL surveyor team to make sure that surveyor development programs are in place and that skills gaps are identified and action is taken to remediate. Approximately 2-4 years’ general Surveying experience. Use of GPR and Electro Detection techniques. Qualification relevant to Surveying and/or Civil Engineering. Excellent organisational skills and ability to work under pressure and to tight deadlines. Be self motivated and pro active. Have the ability to solve problems effectively and in a timely manner out on site. Have a strong understanding of IT applications. Willing to be flexible on work locations and working hours.